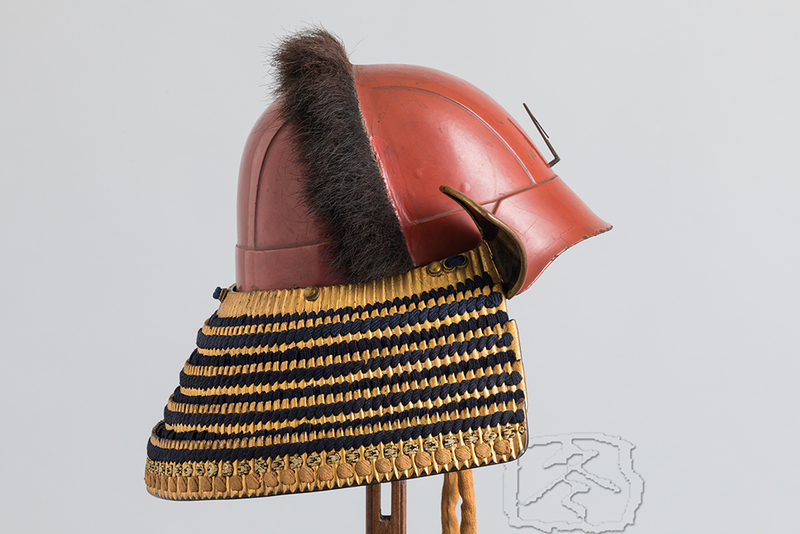 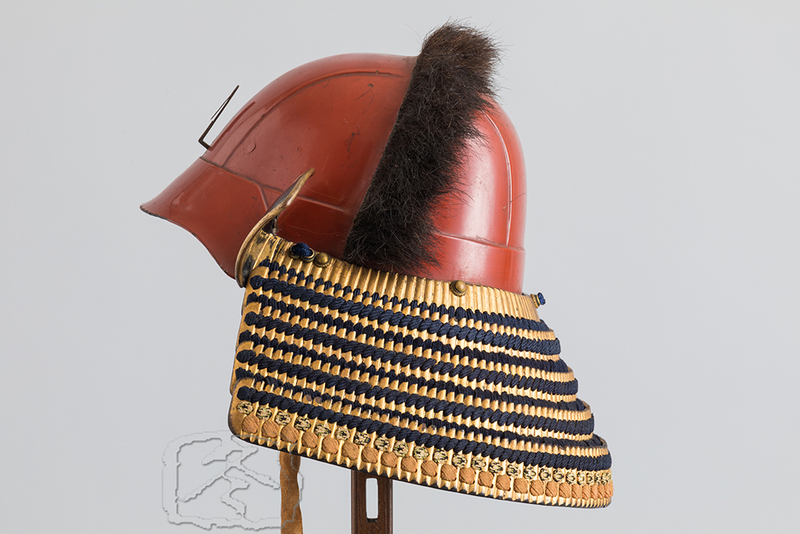 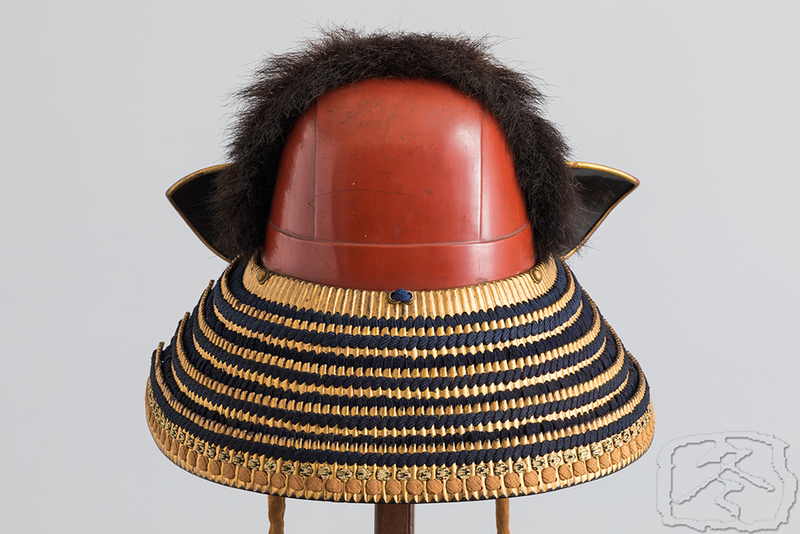 This unusual red lacquered ‘zunari’ helmet has a band of animal hair running over the top of bowl from left to right. 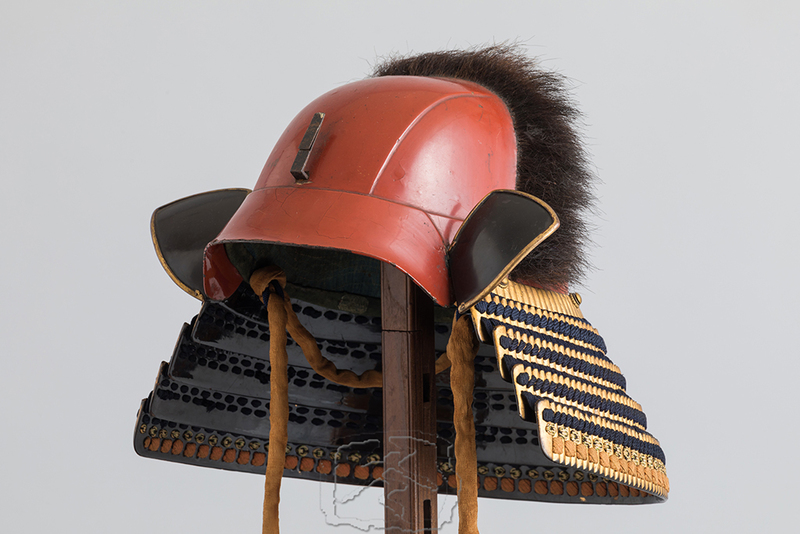 The large ‘fukigaeshi’ (turn backs) are lacquered black and trimmed with gilded copper. 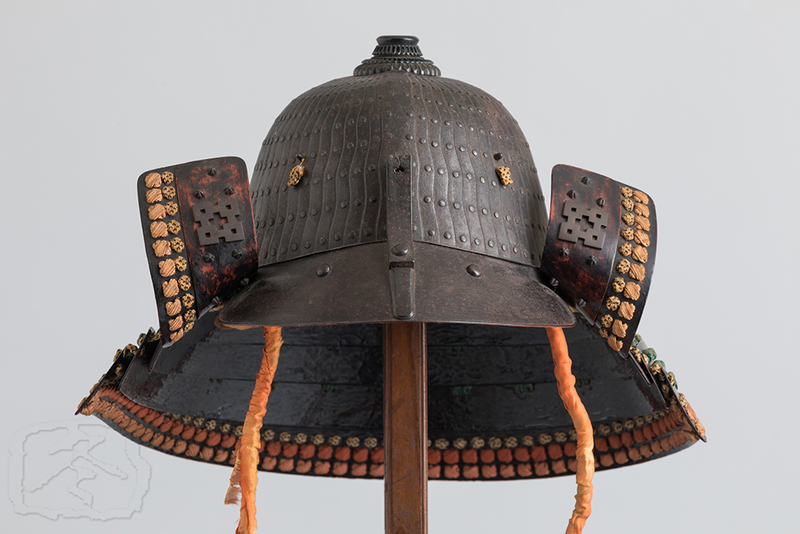 The ‘komanju shikoro’ (small rounded neck guard) is made of five lames of iron ‘kiritsuke kozane’ (false scales), covered with gold leaf on the exterior and lacquered black on the interior.